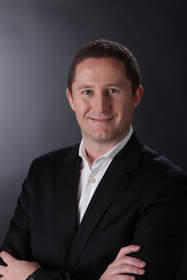 BOCA RATON, FL--(Marketwired - Jun 22, 2015) - MiX Telematics (NYSE: MIXT), a leading global provider of fleet and mobile asset management solutions, announced today that Gareth Morrison, formerly Operations Director for the company's Middle East and Australasia regions, has joined the MiX Telematics Americas team in the role of Chief Operations Officer. Skip Kinford, president and CEO of MiX Telematics (Americas), said, "Gareth is a high-powered addition to our U.S. team. In his nine years at MiX Telematics, Gareth has contributed heavily to our operation's prowess in several key regions. We are very pleased to now have him here in the U.S. -- this is a critical role on our management team." "I'm excited to join the U.S. team to help shape the company's progress in the fastest-growing region within MiX Telematics," said Morrison. "It's a great opportunity for me, and a high-impact role. We are building out the U.S. operations team quickly to help manage our growth in this dynamic market." Morrison formerly served in several financial management roles at MiX Telematics, in both South Africa and the United Arab Emirates. He's spent his career in financial and operations roles. Prior to joining MiX Telematics, he was with Power Construction, one of the largest privately owned construction firms in South Africa, and Fruits Unlimited, which supplies all major worldwide supermarkets. MiX Telematics is a leading global provider of fleet and mobile asset management solutions delivered as SaaS to customers managing 512,000 assets in over 120 countries. In the U.S., MiX Telematics is known for providing the best customer support, including service for life on all solutions and dedicated account managers who proactively monitor the health of customers' systems. The company's products and services provide fleets of all sizes with solutions for efficiency, safety, compliance and security. MiX Telematics was founded in 1996 and has offices in the United States, South Africa, the United Kingdom, Uganda, Brazil, Australia and the United Arab Emirates as well as a network of more than 130 fleet partners worldwide. MiX Telematics shares are publicly traded on the New York Stock Exchange (NYSE: MIXT) and the Johannesburg Stock Exchange (JSE: MIX). For more information, visit www.mixtelematics.com. Gareth Morrison has joined MiX Telematics (NYSE:MIXT) as Chief Operations Officer.